If you are not familiar with Optimizely you are missing out on sales. Optimizely is a multivariate testing tool that will allow you to fine tune your website to produce more results. The best part about using Optimizely is that you do not have to know how to code to use it effectively. All you have to do it use their intuitive editor to make changes and see how they will affect your sales. What is this madness you might ask? It is really simple, have you ever wondered if having your buy now button a different color would have an effect on your sales? It very well could. Or if you used different text, how it might affect your sales. This is what Optimizely lets you do. You can make changes to your site and test them against the current layout to see which one works better. Take a look at the images below. You can see the two different versions of the products page of a Prestashop website, but which one will preform better? That is where Optimizely comes in. 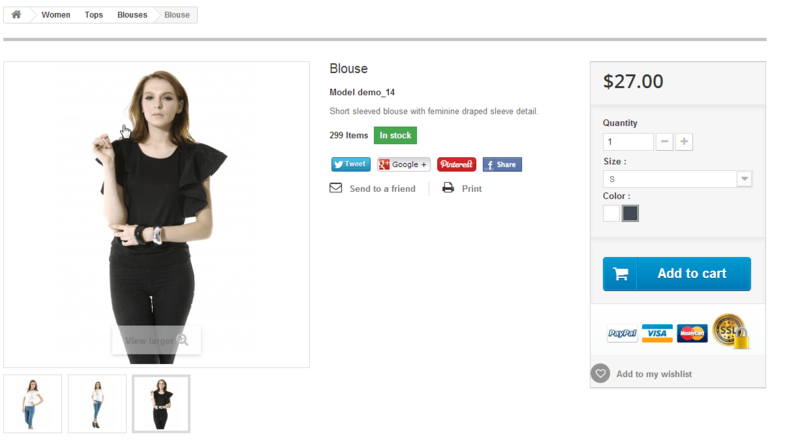 You can set up tests of different pages like this and track which one leads to more purchases. If you do not have an Optimizely account, you can sign up for one at optimizely.com. The module is very straight forward, once you download it and install it, you need to enter your tracking code in it. Then you can go to your Optimizely account and start making variations for testing and deploy them. It is that simple. Below are a few screenshots of the module. This module will allow you to install the Optimizely tracking code to your website. With the tracking code you will be able to preform A/B tests on your website to narrow down what is causing customers to convert into buyers.